Miami is one of South Florida's premier vacation destinations, with beaches, great weather, history, culture, sports, and entertainment. 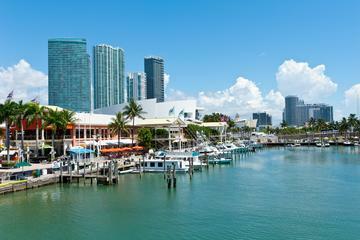 Downtown Miami, separated from the Atlantic Ocean by the Biscayne Bay and Miami Beach, is a modern metropolis and cultural treasure trove. From the museums to the streets of Little Havana, you can always find plenty of things to do. Across the bay, Miami Beach, with it's Art Deco District, fantastic stretch of beachfront, and fun vibe, is a must-see in the area. 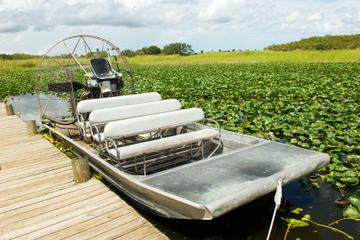 Outside the city, but nearby, is Everglades National Park, known for its unique ecosystem and wildlife. If you are looking to stay in this area, see our selection of recommended luxury, mid-range, and budget hotels. 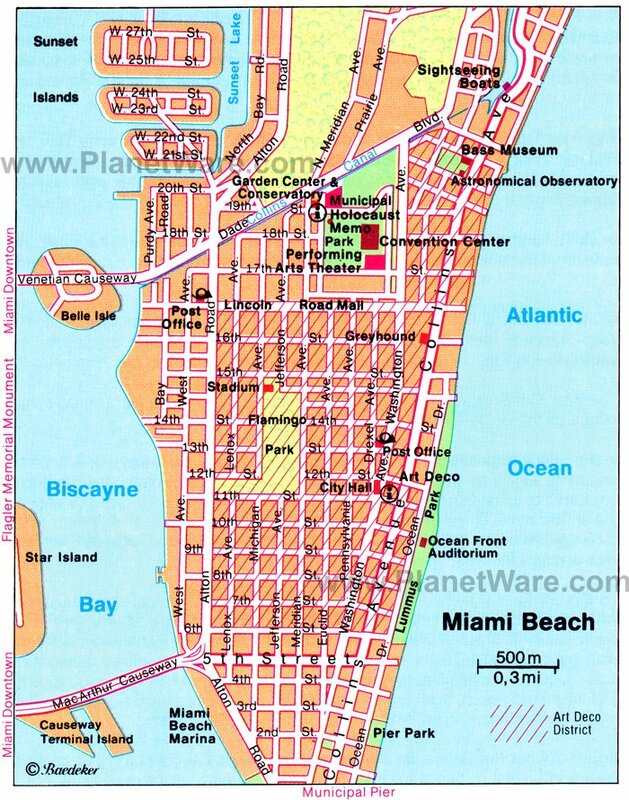 Miami's main tourist area is Miami Beach, with its lovely soft sand beaches, Art Deco buildings, and vibrant atmosphere. There are all kinds of hotels here, from small, quaint boutique hotels in landmark buildings to the large chain hotels. Most of the hotels have pools and are within easy walking distance of the ocean and a variety of great restaurants. Luxury Hotels. Many of the small, luxury hotels in Miami Beach are in classic, three- to six-story Art Deco buildings. For a high-end, relaxing, boutique hotel try the Metropolitan by Como, one of the most popular hotels in Miami Beach. Another upscale choice is the Soho Beach House, with a variety of accommodation options. Both of these are modest-sized properties and have spectacular ocean views. Another favorite in the area, and popular with families, is the larger W South Beach. All of these hotels have pools and easy ocean access. Mid-Range Hotels. Some great mid-range, family oriented hotel options in Miami Beach, with large pools and easy beach access, include the Courtyard Miami Beach and the Holiday Inn Miami Beach. Budget Hotels. In the budget range is the Spanish-style Clay Hotel, the contemporary-style Hotel Shelly, and the Baltic Hotel. All of these are just a couple blocks off the beach but all within easy walking distance. Hop-on Hop-off Bus Tour: To see the sights of Miami at your own pace, it doesn't get any easier than a Big Bus Hop-on Hop-off Bus Tour. 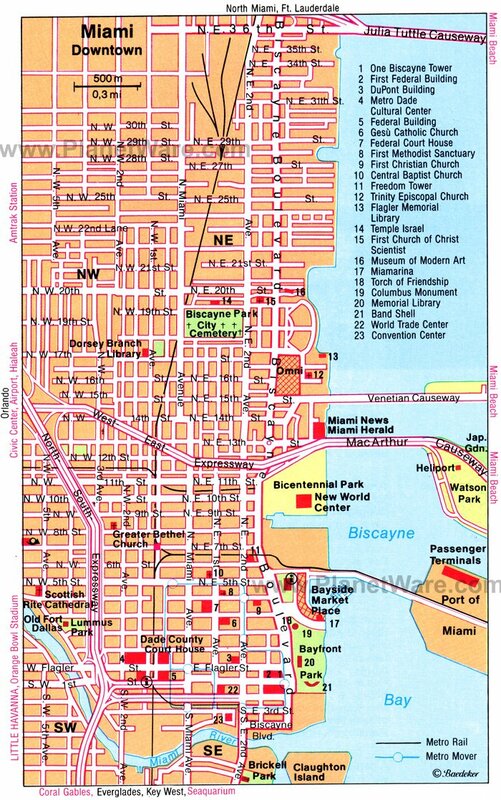 The three routes hit all the major destinations, including South Beach, Downtown Miami, Coral Gables, and Little Havana, with a total of 40 stops to choose from. Sightseeing, Cruise, and Everglades Tour: If you really want to make the most of your time in Miami, the most comprehensive and convenient way to see and experience the highlights is on a Miami Combo Tour: City Sightseeing, Biscayne Bay Cruise, and Everglades Airboat Ride. This tour checks off everything but the beach, and it's all wrapped up in a one-day tour. The trip includes a narrated coach tour through the city; a cruise on the beautiful, clear waters of Biscayne Bay; and an airboat ride through the Florida Everglades. Visit Key West: Take an organized Key West Day Trip to see the famous bridges that link the Keys, spend an afternoon wandering around Key West, or add on a glass-bottom boat tour, a snorkeling cruise, hop-on-hop-off tour of Key West, or parasailing. This tour includes hotel pickup and drop-off at your Miami hotel, transportation to Key West, and plenty of free time to see the sights.